Former VCU Volleyball standout Anett Farkas is trying to crack into the world of fashion with FRSHSqueezed.com. 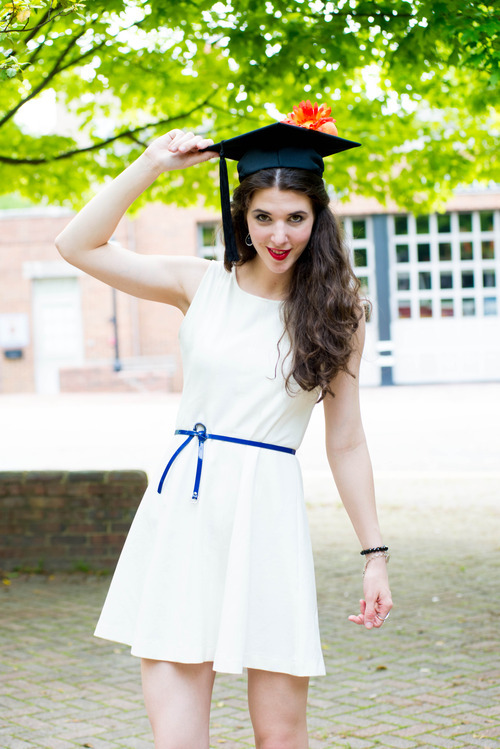 RICHMOND, Va. – While senioritis crept in on her peers, Anett Farkas chose to finish her college career with style. Farkas, a three-year volleyball standout for VCU, graduated Saturday with a degree in Fashion Merchandising, but not before she got a head start on her career. In January, Farkas and friend Carlos Funn, a professional photographer, founded the fashion blog FRSHSqueezed.com. Farkas writes and edits the blog, while Funn’s photography gives the site a refined visual edge. When the curtain fell on Farkas’ volleyball career in November, she looked to occupy her time with new projects. When she returned from winter break this year, she and Funn launched FRSHSqueezed. Online, Farkas models some of her favorite styles, provides fashion tips and reports on local fashion fare. She does so while appealing to more than just a Richmond audience. A native of Budapest, Hungary, the site is written in both English and Hungarian, which Farkas hopes will invite readers from her native country. Although still in its infancy, Farkas and Funn have already seen modest success. Earlier this year, they struck a partnership with Dillard’s in Short Pump which allows Farkas to choose styles directly off the retailer’s floor and model them on FRSHSqueezed. Recently, Richmond, Virginia Fashion Bloggers (RVAFB, for short) featured FRSHSqueezed on their “Saturday Spotlight”, which casts a light on local fashion bloggers. FRSHSqueezed’s Facebook page has already accumulated nearly 3,000 “likes”. A 6-foot-2 outside hitter, Farkas averaged 2.33 kills per set in 2012. Farkas also worked as a runway model for VCU Catalyst, a show featuring clothing by VCU Fashion Design and Merchandising students, at the Virginia Museum of Fine Arts on May 5. Not only did Farkas model at the show, but she was able to report on it for FRSHSqueezed. Now that she’s graduated, Farkas says she plans on investing herself in the site even further. There are a number of plans in the works, she says, and she and Funn hope to monetize the site in the near future. While it’s a labor of love for Farkas, she says there are other motivations for the blog. Farkas, who recently completed a marketing internship with Sue Williams and Colleagues in Church Hill, says she’d like to find a job in the fashion industry in the United States, and the blog could help her stand out. What better way to market yourself than with a successful blog that incorporates modeling, writing, marketing, fashion forecasting, social media saavy, smart aesthetics and a heap of initiative? It’s like a LinkedIn profile meets Vogue. Click to follow FRSHSqueezed on Facebook or Twitter, or search FRSHSqueezed on Instagram.